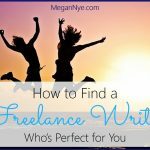 You needed to find yourself a freelance writer, but you didn’t know where to find her. 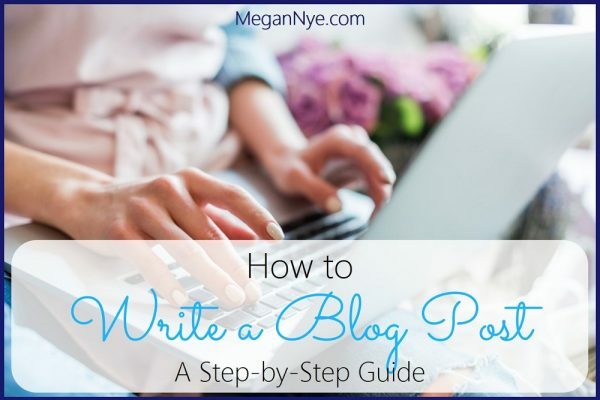 Now you know exactly how to connect with a pool of quality, professional writers. So it’s time to choose your writer! You want a professional who can give you exactly what you need for your business. Someone who’s a joy to work with and who goes the extra mile to understand your audience. How do you find that perfect person? Check out her online presence. Serious writers want to be found! 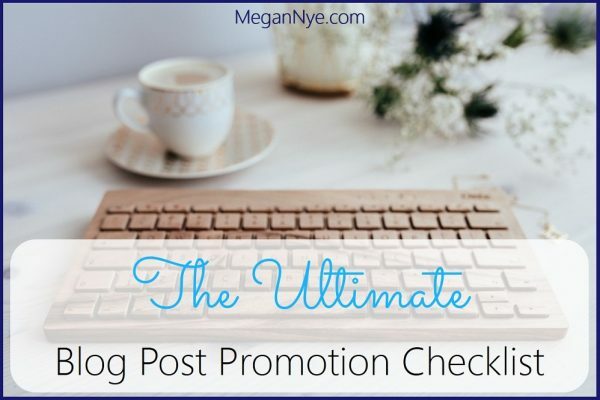 Does your writer have a professional website, a put-together LinkedIn profile, and active social media accounts? The writer’s website should feature a friendly photo of the writer, details on the services she provides, a portfolio of work, contact information, and social proof. Evidence from other people that your prospective writer is legit. She should have a list of clients with whom she’s worked or publications for which she’s written. Plus, look for testimonials from happy clients and enthusiastic readers. 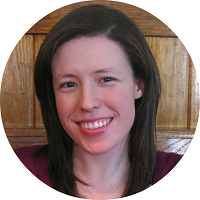 Look for a specialized writer with a suite of services. What you don’t want is a jack of all trades and master of none. So avoid generalists, and find a writer in your niche. 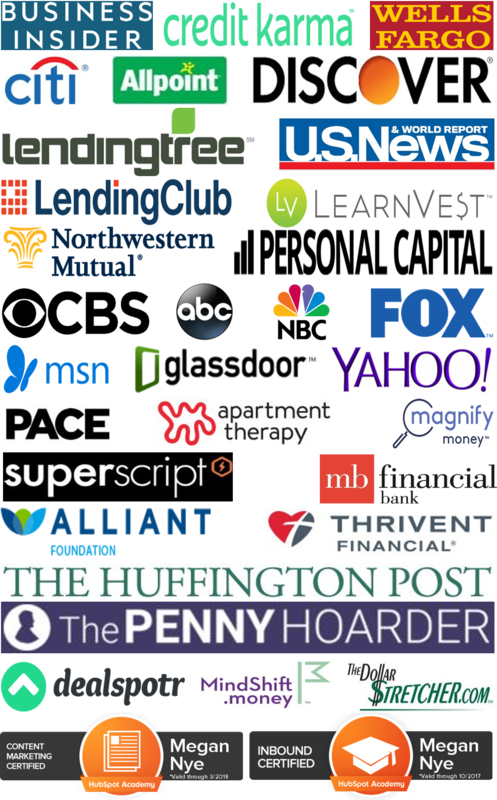 If you’re building a personal finance blog, you want a writer who’s got a proven track record in just that area. If you need someone who understands content marketing, look for someone who’s written great blog posts on that topic. At the same time, great writers have skills that are transferrable to niches outside of their own. 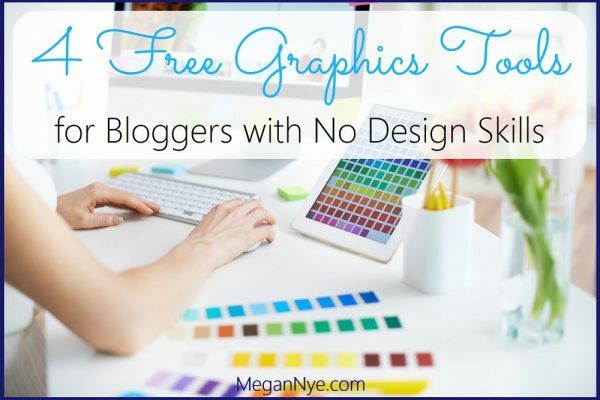 If you see that someone’s done killer round-ups of blogging gurus, it’s probable that she’ll be able to create a killer round-up of high-profile people in your industry as well. 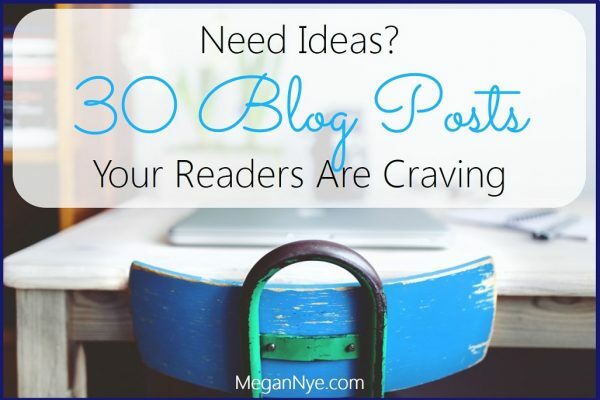 Once you’ve found someone who can write the kind of content that you crave, see if she offers more than fast-food-style blog post writing. Look for valuable services (research & formatting, revision rounds, etc.) that she includes with each post and incredible extras that she offers for an additional fee. 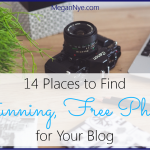 A writer typically advertises her menu of services on her website and social media sites, but be sure to ask if you can’t find it. Assess your communication with a writer. Let’s say you’ve established contact with a prospective writer. You’ve gotten a response from a job posting or a writer has responded to your request for information after you found her. Either way, take a good look at the proposal she sends your way. Does it exude professionalism and instill confidence in her abilities? Does the writer understand your blog’s vision? Its tone? Your audience? 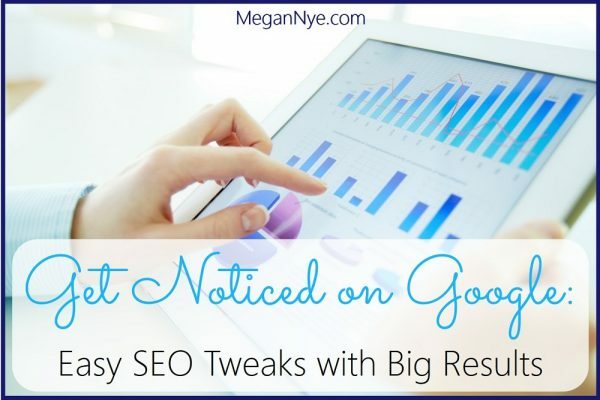 If you ask for (or receive) topic pitches from a prospective writer, can you see them succeeding on your blog? No matter how good a writer looks on paper, if you’ve got a bad feeling, pay attention to it. 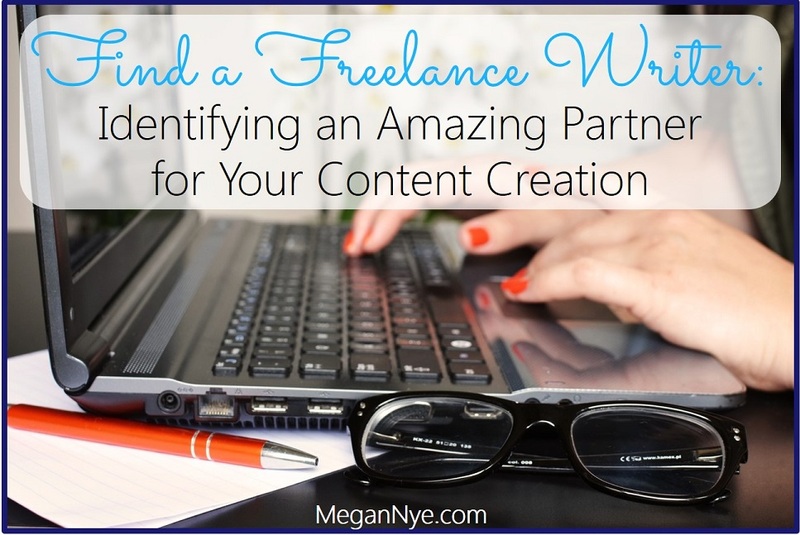 After all, working with an amazing freelance writer is about establishing a beautiful working relationship. When you and your writer are on the same wavelength, you’re both working toward the same goals. 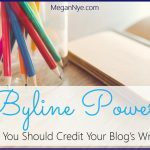 Your writer wants to see your business thrive and wants her writing to make that happen for you. She understands your goals, your audience, and your style. So don’t pick any old writer. Do your homework, have a conversation, and make sure you’re filled with excitement about the possibilities of working with the incredible writer you find. 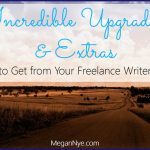 Curious about the types of services you can get from a great writer beyond just writing? Stay tuned for the next blog post!